dejeuner. Dale M Reid Photography. Presented with 2nd Place – Merit of Excellence for the 13th Annual Black and White Spider Awards in the category of Still Life, Professional. 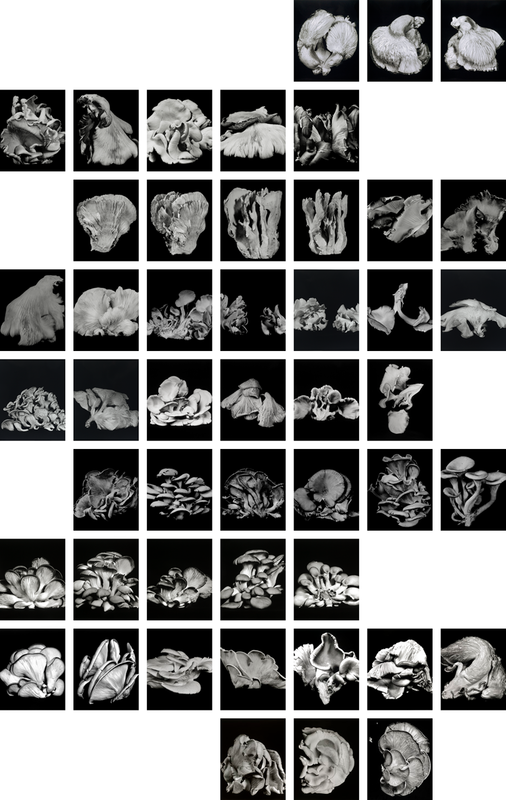 The Oyster Mushroom is Dale's most recent series started in 2011 and represents some of Dale's finest black and white photography. Her attraction to the oyster mushroom was their varying shapes and contrasts in textures. Dale's source for the fresh mushrooms is at a local framer's market and they are generally available June to September.